In the Amazon city of Belén, in the heart of the Peruvian jungle, three old men sit on a bench. They sit in the square every day under the hot sun, remembering the women they loved and the world when it was a better place. 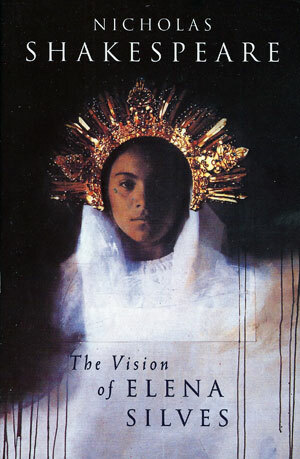 One day a woman hurries past their bench whom all have reason to remember – Elena Silves, the girl with eyes as blue as the sky who once saw a vision and has been incarcerated by the Church authorities in a convent high in the Andes ever since. But the old men remember something else. They remember that Elena had been in love at the time with Gabriel, a student revolutionary who became the most wanted man in Belén. Thomas Wavery is the new Consul General at Abyla on the tip of North Africa. A career diplomat, Wavery was once a high flyer, but an affair with a younger woman has dashed his dreams of ambassadorship. He arrives in Abyla with his wife suing for divorce, his passport stolen by a Gibraltarian ape and precious little enthusiasm for the task ahead. His one hope of redemption is a visit from his new love. This novel explores one of the most astonishing stories in the whole history of twentieth century terrorism. Colonel Rejas was the policeman charged with the task of capturing the Peruvian guerrilla leader Ezequiel, but having been dismissed he finds the burden of silence and secrecy too heavy. On meeting Dyer, a foreign correspondent, he is moved to relate the tortuous progress of the manhunt for the first time. The Dancer Upstairs is a story reminiscent of Graham Greene and John le Carré – tense, intricate and heartbreaking. A young Englishman visits Cold War Leipzig with a group of students and falls for an East German girl who is only just beginning to wake up to the way her society is governed. Her situation touches him, but he is too frightened to help. He spends decades convincing himself that he is not in love until one day, with Germany now reunited, he decides to go back and look for her. But who was she, how will his actions have affected her, and how will her find her? All he knows of her identity is the nickname he gave her – Snowleg. Snowleg is a powerful love story that explores the close, fraught relationship between England and Germany, between a man who grows up believing himself to be a chivalrous English public schoolboy and a woman who tries to live loyally under a repressive regime. Following the death of his parents in a car crash, eleven-year-old Alex Dove is torn from his life on a remote farm in Tasmania and sent to school in England. When he returns to Australia twelve years later, the timeless beauty of the land and his encounter with a young woman whose own life has been marked by tragedy, persuade him to stay. They marry, and he finds himself drawn into the eccentric, often hilarious dynamics of island life. Longing for children, the couple open their home to a disquieting guest, a teenage castaway, whose presence in their home begins to unravel their tenuously forged happiness. I read it with complete absorption, wholly immersed in its world. It has a palpability and veracity which is quite mesmerising. A tremendous piece of work. What would you do if you suddenly and unexpectedly inherited £17 million? This is what happens to Andy Larkham, recently jilted lover, and resentfully underpaid publishing minion. Arriving late to the funeral of his favourite schoolteacher, he ends up in the wrong chapel with one other mourner, too embarrassed to leave. Pressured to sign the register, little does he realise what effect that signature will have upon his life. The extraordinary story that follows tells of one man’s failed love, the temptations of unanticipated wealth, the secrets of damaged families and the price of being true to oneself. It is a romance for our times. 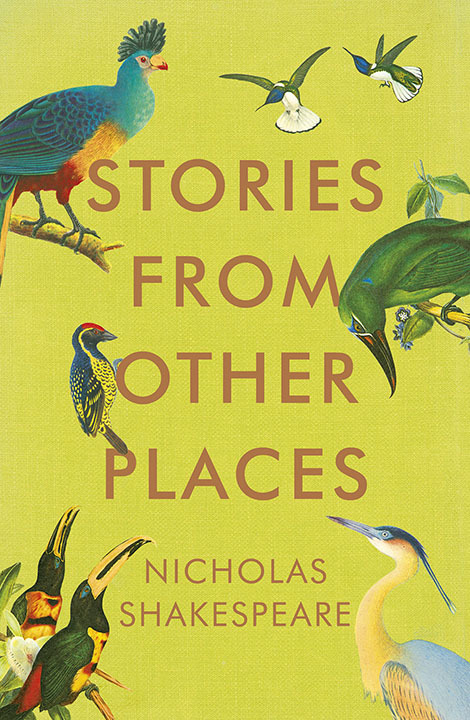 Nicholas Shakespeare’s collected stories take us across oceans and continents into the intimate lives of his characters and the dilemmas and temptations they face. The opening novella, Oddfellows, tells the little-known history of horrifying events that occurred on 1st January 1915 in the Australian outback town of Broken Hill, where, on the citizens’ annual picnic outing, the only enemy attack to happen on Australian soil during World War I took them by surprise. The other stories range through India, Africa, Argentina, and Canada, and include a magnificent tale of civic folly which sees an unreliable young councillor from the Bolivian mining town of Oruro lose himself in the seductions of Paris while trying to commission a bronze statue of his local hero. All of them demonstrate Shakespeare’s talent for insight and drama, and his fascination with connection and disconnection and cultural misunderstanding. One of Britain’s finest writers… I do not expect to read a more formidable piece of short fiction this year. Eight nuggets of pure, bold storytelling. In each story Shakespeare brilliantly transports us to other places, times, cultures and communities, but for all their differentness and exotic heat and dust, in essence they are places we know only too well. Shakespeare has mined, shaped and polished one of the most superb literary gems I have read in recent times. Only John Boyne’s The Boy in the Striped Pyjamas comes close. Facts and fiction merge in this riveting and relevant work. In a word … brilliant! A spare, brilliantly evocative tale of the outback jihadis and the attack most of us have never heard of. A slight but powerful book and Shakespeare immersedhimself in the time and place to write the story. Recent terrorist attacks have, sadly, accentuated the fact Shakespeare’s story is a timely one. Nicholas Shakespeare has created a slim, sensitive and simply beautiful novella. He writes with exquisite restraint of the yearning, ignorance, hope and hopelesness of life in the wartime mining town. It is history it seems we’ve been doomed to repeat. Shakespeare captures this historical moment beautifully and in elegant prose creates a complex inner life for Rosalind, who is a wonderfully drawn character. It’s a fascinating story, however, and skilfully told. It is also timely. Because the story Shakespeare tells resonates so deeply with current tensions, it is weightier than its length might suggest. What a strange and enticing story, told with a great sense of escalating tension but also in a somewhat detached manner. Here is an account of the only enemy attack on Australian soil during World War I. It happens in Broken Hill during the annual picnic day in 1915. Its short and yet very meaty. Love this.